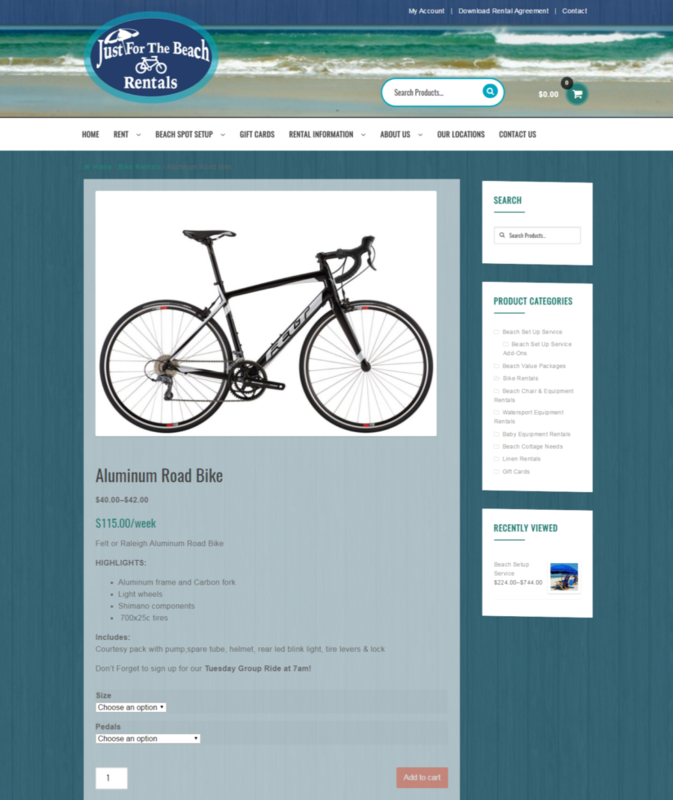 Product Page includes images, descriptions and online reservation calendar. 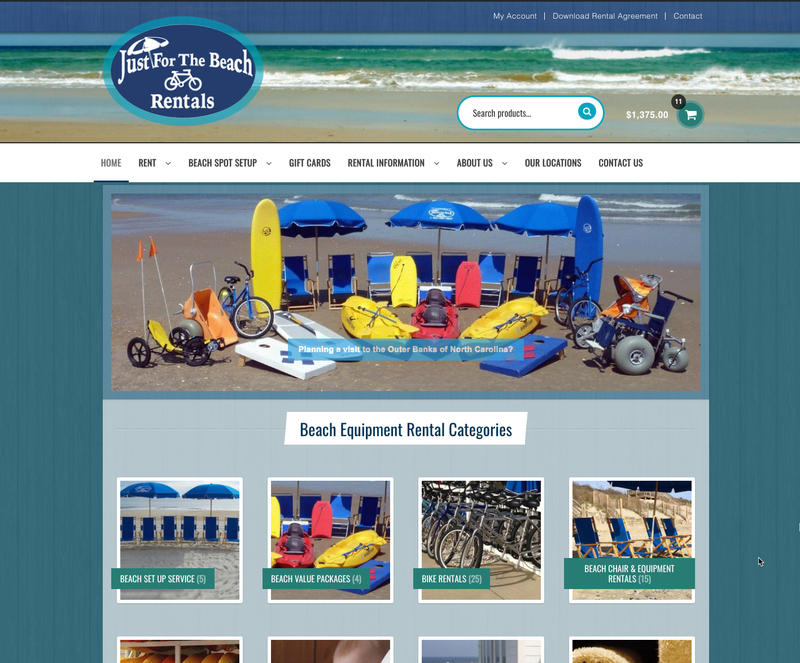 Just for the Beach Rentals needed a highly customized online store to serve their many customers and three locations on the Outer Banks. 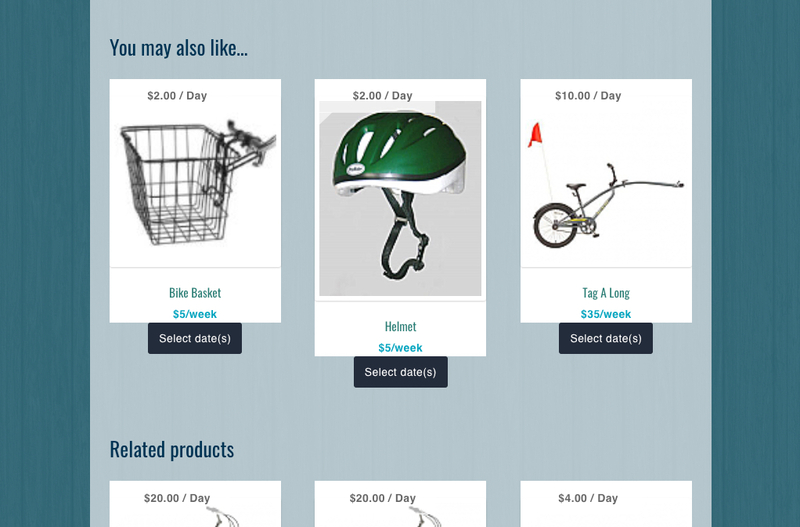 Beyond a clean, intuitive design that organized the products into easy-to-navigate categories, they needed e-commerce capabilities: accepting online payments, state and local taxes, delivery options and fees, and gift certificate sales and redemption. 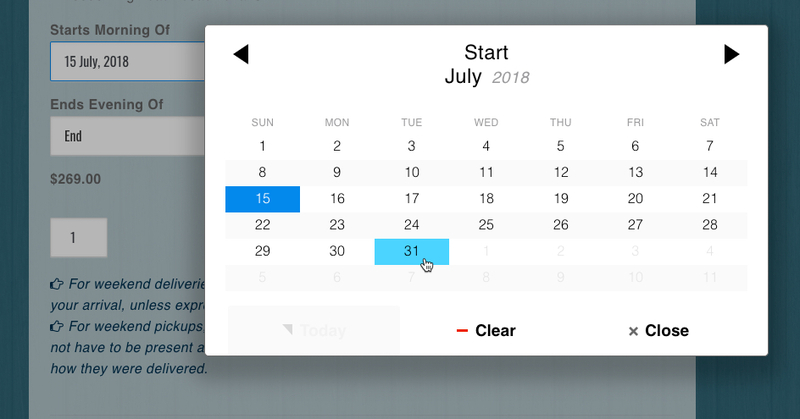 We also needed a custom calendar that would adjust the pricing based on the number of days and/or weeks the product would be rented for, while limiting the availability of the products based on what had already been reserved by other customers for the same dates. And, being a rental company their customers return all of the products they ordered. 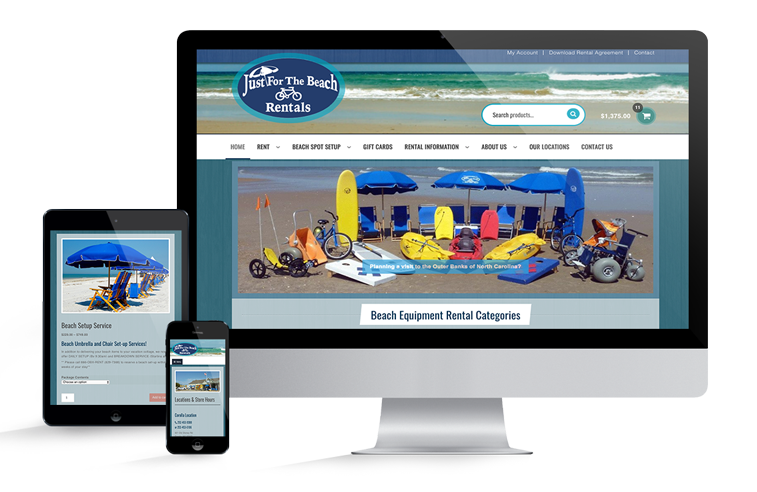 So we needed to integrate the online store with the client’s existing point-of-sale system, to allow the product to be removed from inventory on the date reserved, and added back into inventory when returned. All done automatically, of course. Thank you so much this is a vast improvement over what we had… I appreciate your hard work. 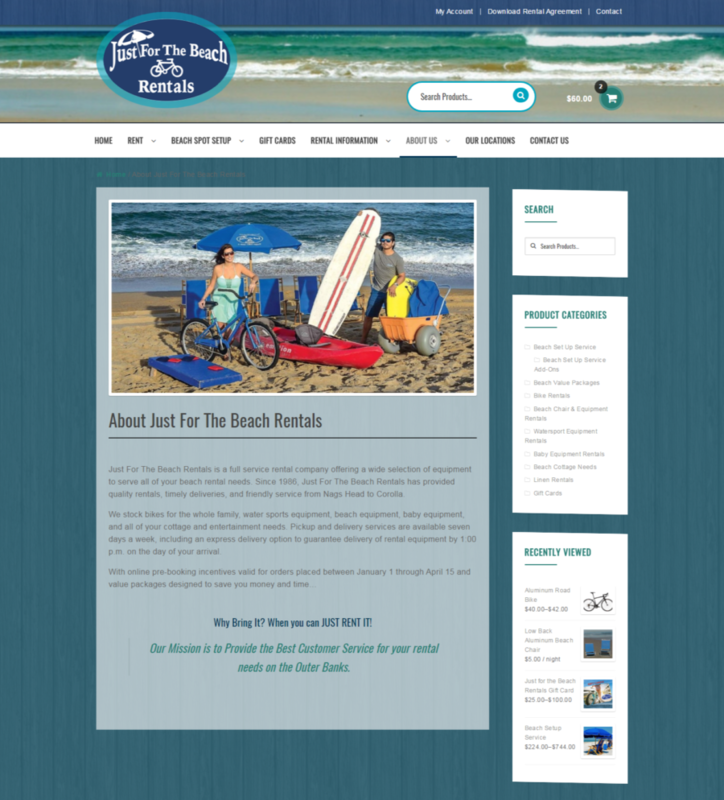 This site is fully responsive, which means the content on each page re-arranges itself based on the size of the screen it is being viewed on. 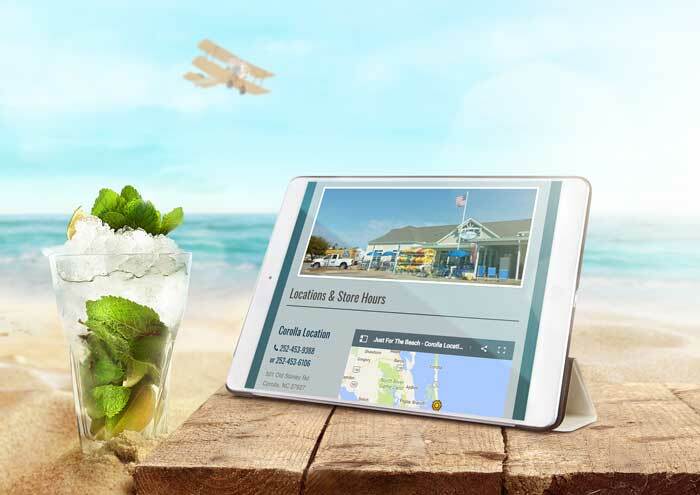 You never know where people may be visiting your website from! Well, actually, we do. And more and more, it’s from their mobile devices.